Everybody who meditates on Chinese foreign policy has a theory of how China functions. This is only human: the mind needs to make sense of all the information. The best analysts constantly reassess their theories in light of new data. In her recent Lowy Institute study, Linda Jakobson presents the English-speaking world with lots of new data – and a new theory to go with them. It is generally accepted, at least in the United States, that China’s recent activism in the near seas of East Asia is a product of a coordinated national strategy. From Scarborough Shoal to HYSY 981, the goal is quiet expansion. Jakobson questions the conventional wisdom, making a case for ungoverned local initiative – buoyed by surging national power – as the primary factor driving events at sea. Although, at least in this reader’s view, Jacobson does not ultimately clinch the case, her paper is a valuable addition to the scholarship on China’s rise. Jakobson profiles all of China’s major actors in the maritime sphere, from the highest policymaking bodies to the outspoken ranks of PLA propagandists. Above all, she focuses on China’s maritime law enforcement agencies, a natural choice given that if a strategy does exist they would be the primary instruments with which it would be implemented. In particular, she looks at the recently created China Coast Guard, suggesting a reform encountering stiff headwinds, a case that she makes with great persuasiveness. Jakobson puts a microscope on the agents of Chinese maritime policy, unearthing the details of their political ecosystem from dozens of texts and interviews with Chinese scholars and officials. Her research is a much needed corrective to simplistic views of China as a state able to identify an objective many years in advance and pursue it with anthropomorphic cunning. However, it is with the next plank in her thesis – proving that fragmented authority leads to observed behavior at sea – that Jakobson falters. She tells us that agencies and services compete, she chronicles the discord, and she convinces us that things are very complex indeed. But in the last analysis, she does not show how these things directly translate into Scarborough Shoal, HYSY 981, the East China Sea ADIZ, or the Second Thomas Shoal. Her only attempt at connecting the dots is with a “case study” of the creation of the Sansha municipality. As in so many sections of the report, she takes us into the particulars but does not bring us out with any sense of progress towards the aim. Depicting a cast of maritime actors at odds with each other does not in itself prove fragmented authority is to blame for recent assertiveness. Strategy could still be at play. Ultimately, it will depend on how you define the term. If by strategy one means a comprehensive state effort to achieve an identified objective, inter-agency rivalry should be seen in its proper light as an impediment to coherence not a driver of actions. In other words, “tailored coercion” may suggest too much subtlety, but the chaos implied by Jakobson’s model errs in the other extreme. Moreover, there are problems with important parts of the case that Jakobson does present. Although the China Coast Guard reform may be fraught, there is much evidence that maritime law enforcement coordination has improved markedly since 2013. Jakobson unaccountably dismisses the statement made by a fisheries law enforcement officer, Zhao Jiangtao, that things are better. In fact, in the very same section in the original Southern Weekend article, Zhao is quoted as follows: “When tasks come down from superiors we need to put to sea within 24 hours. 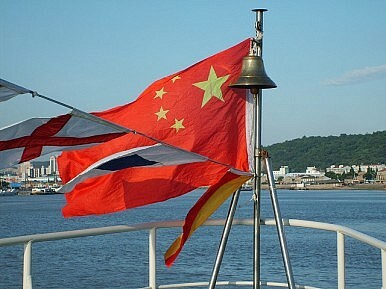 Orders are issued directly from the China Coast Guard Bureau to each individual ship in each contingent. Tasks and timetables are extremely specific.” For rights protection operations this tasking almost certainly originates from the China Coast Guard Command Center in Beijing, a department outlined in the June 2013 SOA re-structuring plan and already operational as of early 2014. There is good reason to believe Chinese policymakers have never had better control over the sea services. And yet provocations continue. Events at sea are not just decided in individual deployments, or in the heat of the moment. They can be traced to procurement decisions made years in advance. China’s State Council approved plans to purchase dozens of new oceangoing “rights protection” cutters in 2010. It is fair to presume that decision makers had a strategic vision when they set aside the billions of RMB to build, base, and man them. And what about the decisions for the old China Coast Guard – a true paramilitary service – to mostly procure smaller, albeit armed, patrol craft and for them to remain close to shore (despite its mandate in all of China’s jurisdictional waters)? If individual actors had the authority and inclination Jakobson suggests, armed cutters would have been regularly patrolling disputed waters years ago. Notwithstanding these criticisms, there is still much good in Jakobson’s work. If she has not produced a viable alternative to the old theory, she has at least laid down a challenge to the “salami-slicing” camp, forcing them to shore up their arguments. If their interpretation is to be validated, they’ll also need to quote “interlocutors” in Beijing and cite articles published in Ocean Development and Management. It is no longer enough to say China has a master plan; people now need to show their evidence. And it is important that they do. For dueling theories of Chinese state behavior are not just recondite contests between professors. Statesmen decide policies with these “frames” in mind. Believing that China is a highly disciplined polity capable of formulating and implementing a subtle expansionistic strategy will lead to a particular policy response. It is a dark view of China, but it means that China can be deterred, its policies shaped by counter strategies. Believing that Chinese actions are merely an outcome of local initiative fueled by growing hard power could impel foreign strategists to formulate different policy prescriptions. They may be more forgiving of Chinese transgressions – or they may conclude that Chinese leaders cannot be reasoned with, that blunt counterforce is the only response to ad hoc maritime expansion. The stakes for getting this right could not be higher. Ryan Martinson is research administrator at the China Maritime Studies Institute. He holds a master’s degree from the Tufts University Fletcher School of Law and Diplomacy and a bachelor of science from Union College. Martinson has also studied at Fudan University, Beijing Language and Culture University, and the Hopkins-Nanjing Center. He previously served as Deputy Director of the China Exchange Initiative.